I was having a pretty good go of things today. The ride in was a tad chilly but entirely comfortable. The Mule didn’t complain a bit. 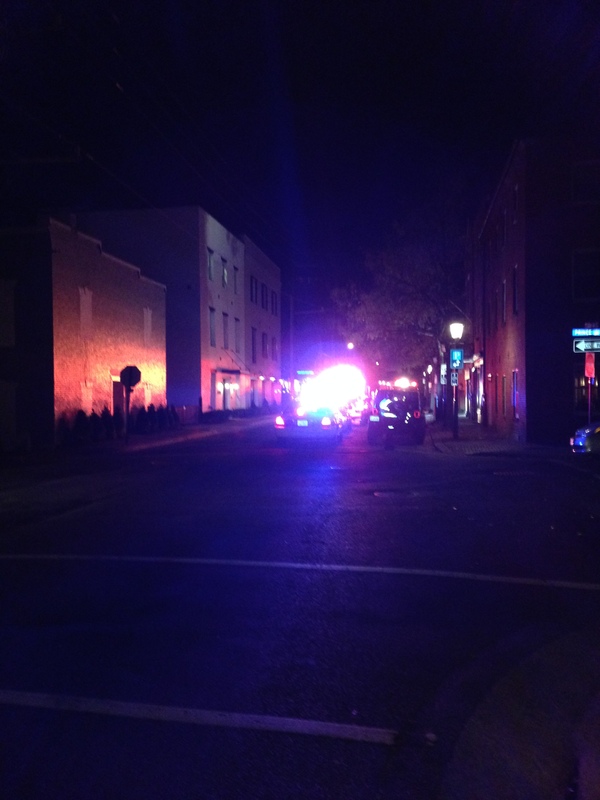 The ride home was going okay when I came upon beaucoup police and fire activity on South Union Street in Old Town. My photo makes it look like a thermonuclear event but I am pretty sure it wasn’t. I didn’t glow or anything like that as I rode past. Seriously, I hope the activity wasn’t the result of a pedestrian or cyclist being hit by a car. Posted on November 10, 2014 by rootchopperPosted in "Mount Vernon Trail", bike commute, Old Town Alexandria, Union streetTagged "Mount Vernon Trail", bike commute, Old Town Alexandria, Union Street.